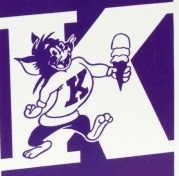 Make plans to attend the fifth annual K-State ASI Family & Friends Reunion Oct. 4 in Manhattan. Keayla Harr, Jeromesville, Ohio, was recognized as the 2019 Don & Jane Good Outstanding Senior during the 2019 ASI Judging Team Reunion. ASI Department partners with on-campus food pantry, Cats' Cupboard, to promote animal protein and support students in need. Cassie Jones, K-State ASI associate professor, and other K-State students and alumni were recognized in Omaha. Pullet sale, educational program to highlight event on June 29. Interested in accessing the latest recommendations regarding swine nutrition? Go to KSUSwine.org to access the new Swine Nutrition Guide and other swine nutrition resources. National Cattlemen's Beef Association Vice President and recently retired Pratt Feeders General Manager Jerry Bohn was recognized February 28 during Stockmen's Dinner. K-State ASI department honors former department head Jack Riley renaming the newly renovated Weber Hall Lounge in his memory. The ASI Analytical Lab in Weber 202 was renamed December 14 the Ben E. Brent Analytical Lab. Congratulations to Keayla Harr, Lilli Heinen, Mary Markland and Yu Shin Wang winners of the Fall 2018 ASI Undergraduate Research Awards. The 2018 Animal Sciences and Industry Distinguished Alumnus is an industry-leading authority in steam pasteurization of beef carcasses. K-State ASI alumni and friends re-connect during fourth annual Family & Friends Reunion. Looking for information about AFSV in feed? Check out KSUSwine.org for resources to answer your questions. The KSU Beef Team hosted the 2018 K-State Ranching Summit August 15. The theme of the program was "Beef 2030 – Pursuing technology, transparency and profitability." Joel DeRouchey, ASI professor, was presented the Extension Award by the American Society of Animal Science (ASAS) on July 9 at the 2018 ASAS Annual Meeting in Vancouver, Canada. Six student participate in K-State Animal Sciences Leadership Academy Premier Program July 11-13 in Southwest Kansas. Students from across the country participated in an immersive livestock and leadership learning experience at Kansas State University and immersive dairy learning experience in southwest Kansas. Animal Sciences and Industry graduate students recognized for scholastic achievement, research and teaching. Ken Odde, former ASI department head and current professor, was presented the Jay B. Dillingham Award for Agricultural Leadership and Excellence Award by the Agricultural Business Council of Kansas City on May 15. 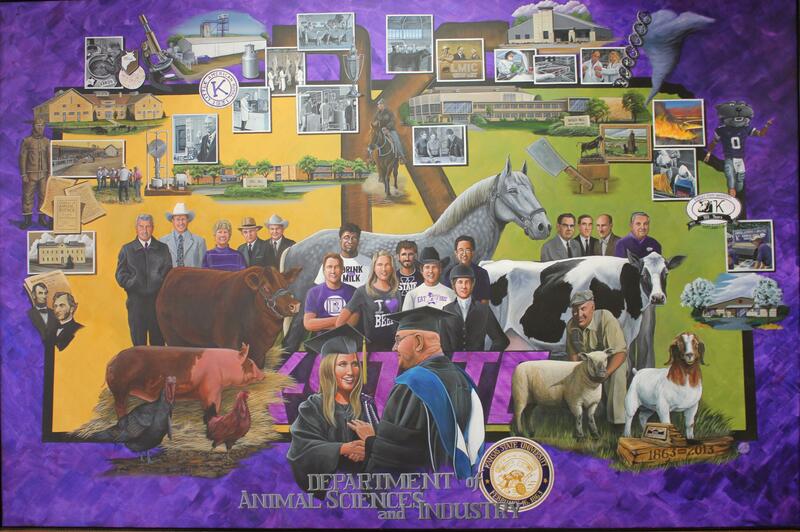 K-State Animal Sciences and Industry students earn national title for the third year in a row. The K-State ASI app allows users to search for educational events and activities hosted by the department. Users can view schedules and download resources as well as access directions and points of interest. The app also includes access to online educational tools and news. >> Looking for a new career opportunity? >> Don't miss these upcoming youth activities sponsored by KSU ASI. For ordering information contact: Wendy Nichols at wnichols@k-state.edu.